If you’re looking for a secretary desk for your office in Woodstock, Georgia, NorthPoint Office Furniture has just what you need. That’s because we sell premium, budget-friendly pieces for home and commercial offices throughout this region. We are highly selective when it comes to the furniture we carry, so you can be certain you’ll be getting a top-quality piece. For our customers’ additional peace of mind, we offer all manufacturers’ warranties. In order to know which of our pieces will best suit your Woodstock organization, consider visiting our 8,000-square-foot showroom. Not only will you be able to peruse our secretary desk options, but you’ll also see fully staged displays with our different pieces, enabling you to better envision our furniture in your office. 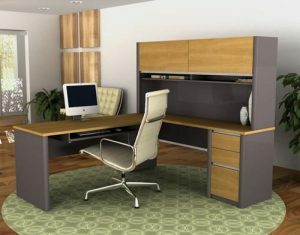 Contact NorthPoint Office Furniture to learn more about how you can purchase a new or used secretary desk from us. One of our friendly representatives would be happy to speak with you and tell you more about the varied furniture pieces we offer businesses in Woodstock, GA, and its surrounding areas.